If Canada is your dream destination, then it is right time to know about the know-hows of Canada PR Visa Requirements. 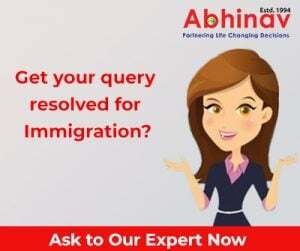 Pull your socks to fulfill your immigration dreams as the year 2019 arrived knocking your doors with lots of opportunities in hand. Before applying for the Canada PR Visa, one must understand the Permanent Residency is a status that will give all the privileges that a Canadian citizen enjoy except the Right to Vote. Permanent Residents are granted the PR card which permits the permanent resident to travel, live and work anywhere in the country. The PR card comes with a bundle of government benefits like free education for kids, healthcare benefits, insurance, etc. What are the Canada PR Visa Requirements in 2019? Language Proficiency Test for English language from IELTS or CELPIP and for French from TEF. Am I Eligible for Permanent Residency in Canada? Every immigration program has their own eligibility criteria which is based on a point-score system to attain the Canada PR. These points are awarded based on the candidate’s professional and education background. The selections parameters are Age, Educational Qualification, Work Experience, Language Ability, Adaptability etc. After calculating the parameters, the candidate is required to meet the minimum score of 67 points out of 100 in the point assessment grid. The Express Entry program runs on the Comprehensive Ranking System (CRS) wherein CIC selects the high scored candidates who meets Canada Visa Requirements. What are the benefits of Canada Immigration Visa? Canada PR visa comes with lots of benefits same as those of a Canadian citizen which is outlined below.